Beautiful antique tribal Turkmen carpet in great condition. 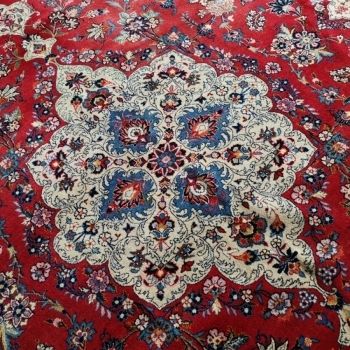 These carpets are named "Gentlemens Carpet" since in the late 19th century carpets of this type often decorated libraries in British Houses and Villas. After Dinner it was common that the Gentlemen separated from the Ladies and went into the library to smoke cigars and have a drink. This oversize carpet comes from a Scottish property. Condition Excellent. Exquisite full pile quality, no repair, no stain. Perfect rug.